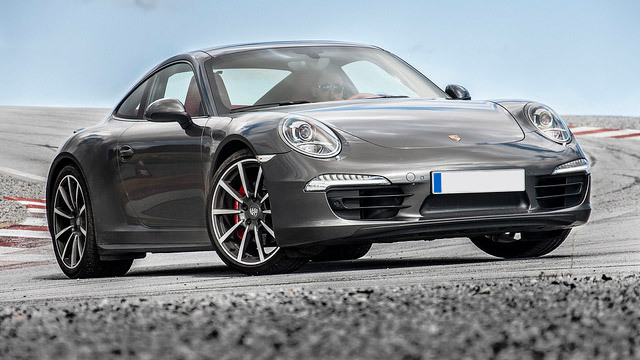 Porsche Repair in Orlando | C & G Auto Center Inc.
Porsches require expert precision and care. The auto mechanics at C & G Auto Center auto repair servicing Orlando, Davenport, and Winter Park specialize in the repair and maintenance of Porsches. Our team of highly trained and experienced auto mechanics love to provide you and your Porsche with the highest level of service and we have the tools and equipment to quickly get you back up and running. Not every auto mechanic or auto repair shop is created equal. That’s why C & G Auto Center employs only the best of the best and has a commitment to excellence and integrity. You can count on this team to deliver expert service when it comes to your Porsche and we offer a 24 month/24K-mile warranty to back up our claim. You can leave your Porsche in the capable and caring hands of the team at C & G Auto Center knowing we stand by our work. “What can I say about C & G auto center? They are honest and that is a quality all by it self, and I can count on my cars being fixed right the first time. If there is any other problems foreseen they will tell you in advance on what is needed.” -- Larry E.
You can trust the highly trained and experienced auto mechanics at C & G Auto Center to take great care of your Porsche, whether you live in Orlando, Davenport, or beyond. You can also trust us to care for each individual customer, always putting your safety first. Integrity matters and so do you. We look forward to seeing you and your Porsche soon! Schedule an appointment today, or stop by. C & G Auto Center is located at 4155 W. Oak Ridge Rd., Orlando FL.